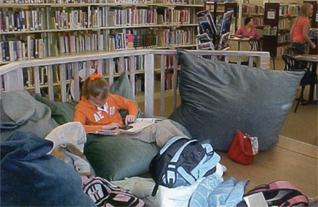 Our furniture is an economic, long lasting, comfortable choice for schools and libraries. Made from synthetic fibers they are stain resistant and easily cleaned. 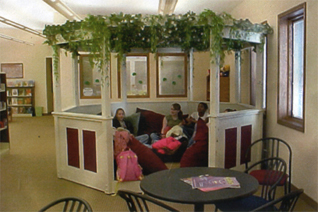 Our furniture has been featured in many schools and libraries around the world. Raindrop chairs and beds are fantastic for classrooms, nursing and counseling offices, and reading corners. They are safe and comforting for special education and autistic children as well. We make all our furniture from high quality, durable fabrics in a wide selection of pattern and colors, filled with specially cut polyurethane foam to offer comfort and support for years. Contact us for discounts on large orders. Use your imagination to begin transforming your school or library! Bourbonnais Public Library enjoys 21 of our raindrop chairs! 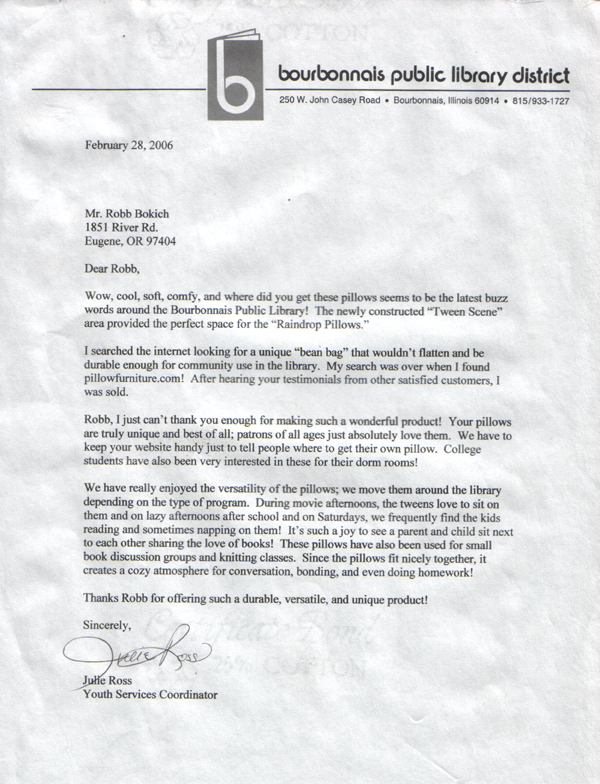 I just wanted you to know that our patrons at the Bethel Branch Library have really enjoyed using the futon and the pillow furniture we purchased from you. The pillow furniture has been a nice enhancement to our teen room. 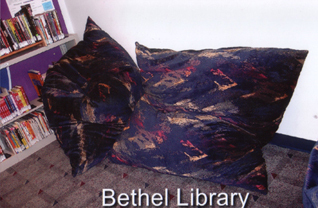 Teens enjoy relaxing on the pillows while they read the latest graphic novel, or visiting with their friends. 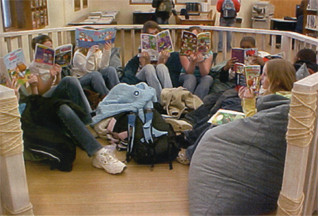 The futon has become an internet waiting area, and also a quiet place to read to a child.